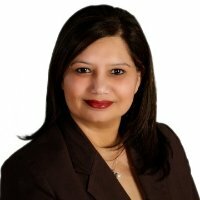 If you are looking for a detail oriented, experienced, and determined mortgage specialist, look no further Neelam Dadral is here. "My job is to make my client's "SOMEDAY" happen by helping them finance their dream home by providing expert advice. With my 15+ years experience in Banking industry, I will help you whether you are looking to purchase, refinance, or switch mortgages. I also work collaboratively with other RBC experts to meet your full suite of financial needs and to make it easier for you to bank with RBC".